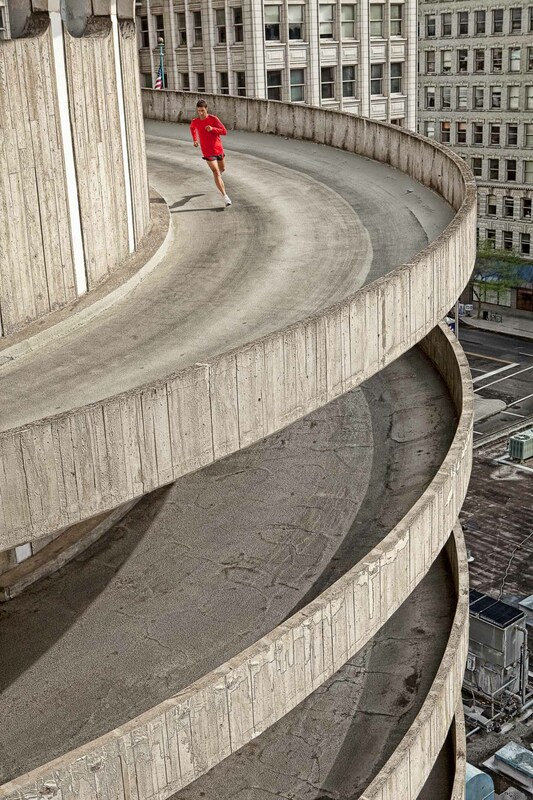 Man running on spiral concrete ramp of multi level parking garage in Spokane, Washington. Fitness. David Zaitz Photography.